Monash Business School’s High-Dimensional Dynamic Systems Network of Excellence is proud to announce an International Workshop on Econometrics and Data Analytics, to be hosted at Caulfield Campus, Monash Business School. The workshop aims to discuss recent developments in methodology and applications at the interface of econometrics and data analytics, and will feature insights from internationally renowned scholars, Professor Whitney Newey (Massachusetts Institute of Technology) and Professor Frank Windmeijer (University of Bristol). The program will consist of invited papers (local and international) that cover a number of areas in data analytics and econometrics. Professor Newey is the Jane Berkowitz Carlton and Dennis William Carlton Professor of Economics at the Massachusetts Institute of Technology. 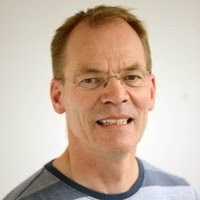 He is best known for co-developing the Newey–West estimator, which robustly estimates the covariance matrix of a regression model when errors are heteroskedastic and autocorrelated. His current research projects focus on employing machine learning techniques in the context of estimating treatment and structural parameters. 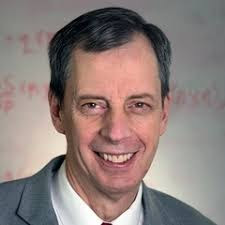 He is an Elected Fellow of the American Academy of Arts and Sciences and of the Econometrics Society. Professor Windmeijer is a Professor of Econometrics at the Department of Economics at the University of Bristol. His research interests include Microeconometrics, Panel Data Econometrics and Economics of Health Care. Current research projects include the use of genetic markers as instrumental variables, identification of causal effects on binary outcomes, and weak instruments in cross section and panel data models. He is Associate Editor at the Journal of Applied Econometrics. Established in 2018, the High-Dimensional Dynamic Systems Network of Excellence collaborates with international researchers to create dynamic and flexible models for high-dimensional statistical data. These will be used to inform policy decisions on important global issues such as climate change, energy demand and population growth.